First consumers “Cut the Cord.” Now will they “Plug the Pipe”? It’s getting cold outside. Of course that’s the moment that all furnaces take a turn for the worst. Mine is no exception. It broke last week. I imagine I’m more handy than I really am, so I turned to my favorite do-it-yourself source —YouTube. I tried all the basic furnace fixes, including rubbing the flame sensor with a crisp five dollar bill (some commenters suggested a twenty). No go. I’ve scheduled a visit from the furnace repair person. But instead of fixing our natural gas furnace, maybe my family should think about the longer term and put in electric heat. California is embarking on the path to 100% zero carbon electricity. Once the state is down that road, electricity will be a far lower greenhouse gas source of heat than natural gas. 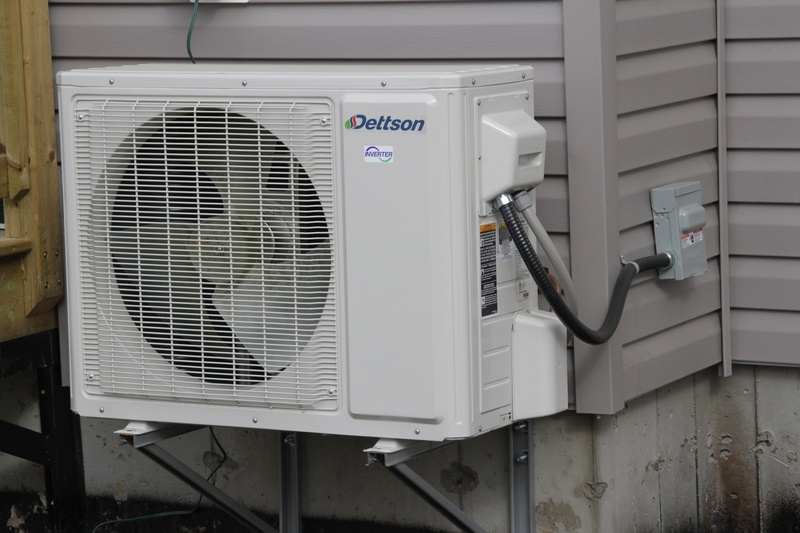 Electric heat pumps are being talked about as a highly energy efficient heating option. If we switch to electric water heating and cooking too, then we could eliminate our natural gas service entirely. My family has already “cut the cord” on television. Next we can “plug the pipe” on gas. Americans primarily heat their homes with fossil fuels–natural gas, propane, fuel oil. Direct combustion of fossil fuels provided 84% of residential space heating in 2015, based on the latest Energy Information Administration survey of residential energy consumption. The rest came from electricity. The direct use of fossil fuels in homes represented just 4% of total US greenhouse gas emissions in 2016. That’s a small number. However, over a dozen US states have adopted deep decarbonization targets to cut greenhouse gases by up to 80% by 2050. Models have identified home fuel switching — from fossil fuels to electricity — as a necessary step to meeting these goals. This has turned home heating into the next big target for greenhouse gas busters. Several governments have already taken action to promote the use of electricity for home heating. The Sacramento Municipal Utilities District (SMUD) is an early mover, offering incentives for builders to construct all-electric homes. Four hundred new all-electric homes are expected over the next 24 months. SMUD highlights the climate change benefits, but the homes also increase demand for the electricity that they sell. The California legislature, which likes to lead on these issues, also got involved this year with a pair of new laws. 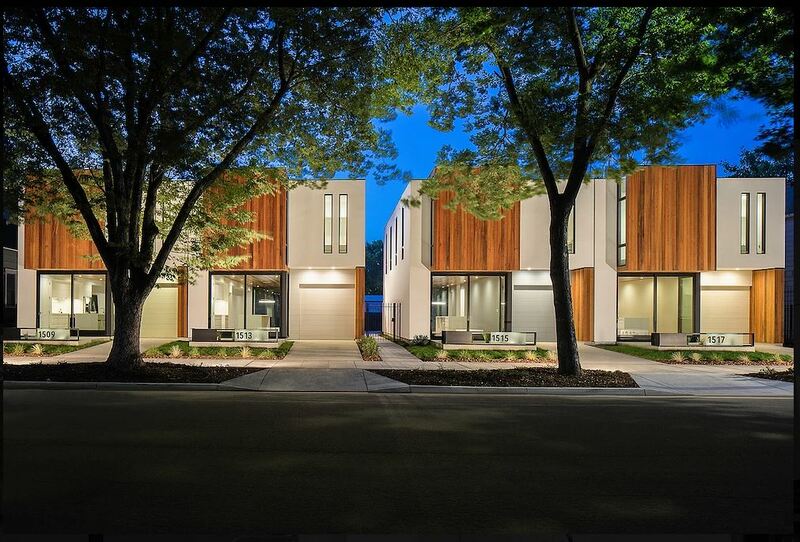 The first commits $50 million per year for zero-emission technologies in homes and buildings. Electric heat is a leading contender for this funding. The second requires state agencies to figure out whether direct greenhouse gas emissions from buildings can be cut to almost half of 1990 levels by 2030. The study needs to consider whether building electrification makes sense relative to other reduction options. The state has its work cut out for it. There are a lot of questions left that are important to policymakers and to consumers like me. Air source heat pump. “Double duty heat pump furnace” by David Dodge. Licensed under a Attribution-NonCommercial-ShareAlike 2.0 Generic (CC BY-NC-SA 2.0). In home heating, some research organizations are arguing that electric heat pumps are a viable alternative to fossil fuel furnaces. Electric heat pumps are like air conditioners in reverse, using thermodynamics to pull heat from the colder outside into the warmer inside. They use just a fraction of the electricity of a traditional resistance heater. However, the heat pumps currently on the market cost much more to install than traditional furnaces. Heat pumps aren’t new, but American haven’t embraced them. For one, they don’t work very well in many parts of the country. In the cold Midwestern and New England regions, where households use lots of fossil fuels for heat, heat pumps won’t meet a household’s heating needs. Heat pumps work best where winter temperatures are more moderate — the South, Southwest, and California. Can the technology be improved to overcome this mismatch? The greenhouse gas and criteria air pollutant impact also merit further study. The case for heat pumps could be strong in California, but electricity production is still very polluting in much of the US. These regional differences raise important questions for California policymakers. As has been blogged about here before, California’s best shot at addressing global climate change is by developing technologies and policies that can be exported. Would exporting home electrification technologies and policies cut global greenhouse gas emissions? If not, maybe the state should focus elsewhere. But if we’re sure electric grids will be decarbonized throughout the country and world, then let’s go for it! Consumer adoption may be the biggest barrier. It’s hard to convince people to try new technologies in their homes, even when policymakers think it is the right decision. We’re invested financially in the technologies we have, not to mention the comfort factor. That’s where I find myself. I have decades of experience staying warm in homes and apartments heated by natural gas furnaces. For the moment, I’m looking forward to the heating repair person coming next week and getting my fossil fueled furnace fired up again. Keep up with Energy Institute blogs, research, and events on Twitter @energyathaas. Andrew – we installed a heat pump water heater and a heat pump for heating and both work well. I’m no expert but glad to discuss if you want. Thanks for the blog! I’ve got 3 cold climate heat pumps installed in 3 different pilot homes humming along this morning in Fraser, CO the “Ice Box” of America. We are located at 8,000 ft and experience about as cold of a winter as you can get in the lower 48. From a single home pilot we conducted a couple of winters ago the heat pumps were able to heat the entire home without backup heat all but 6 days during the winter. Overall the homeowner saved about 35% on their heating bill compared to their existing baseboard. Our latest pilot is focusing on partially sizing a home and working in conjunction with existing propane furnaces as the backup heat source. From our experience we know first hand that heat pumps will perform in cold climates at altitude. We are building a new home in the Bay Area. I’m trying hard to use a heat pump but it 0has been a hard slog. One vendor quoted us an extraordinarily high price. Also, my spouse is more price sensitive than me. We are putting nearly 6kW of solar on the roof so this would work really well. We could time the use of either the heater or AC to coincide with solar production. I question electricity replacing natural gas heating. In NYC, electricity rates are higher than gas. With a replacement high efficiency combination tankless gas boiler heating a two family three zone hydronic system and supplying domestic hot water, my gas savings are almost two thirds lower than they were with a conventional boiler. Wasted heat going up the flue is captured with condensing technology in tankless combi units. My electricity costs haven’t saved me any money and would easily double or triple if I switched to a heat plump. Hi, thanks very much for the informative post. The uptake of air-source heat pumps has been really strong in New Zealand. They have been promoted by central and local government as a much more efficient means of heating than traditional electric heaters, as well as a clean-air substitute to wood burners. Most of New Zealand doesn’t have really severe winters. There is a potential unintended consequence to be aware of though. New Zealand has typically not had a large quantity of residential air conditioning, as summers are not that severe either. However, with the increase in penetration of heat pumps, more people are now able to run the heat pumps in reverse in summer, and this has the potential to materially increase summer peak electricity demand. Nice job. I was surprised by your conditionality about all-electric being a lower carbon fuel in California–that’s an established fact for years now among scientists and policy makers in our State, not a subject of debate or curiosity. 🙂 Similarly, our entire planet’s nations have committed to nearly eliminating fossil fuel use by 2050, minus our country for a four year sojourn in the intellectual desert. That doesn’t happen without electrification paired with renewable energy under any scenario I’ve seen. We do still have a challenge in cold climates. The “possible” solution may not be the “desirable” solution. Heat pump performance (COP) declines with lower temperatures. While cold climate heat pumps still provide savings over electric resistance heat at very cold temperatures, their thermal output declines significantly. In order to have enough heating capacity, the system may need to be vastly oversized for typical demands, and that comes with a very significant capital cost. For that reason, we believe that the best opportunities are in milder climates, and, in particular, in areas where air conditioning loads are high, because in those regions, the dwellings will require a compressor-based space conditioning system (AC), and the incremental cost of heat pump system is small. Jim, it should be of interest to the readers here that Campbell lives in the Berkeley area where air conditioning isn’t particularly needed. This applies to a narrow strip of the U.S. from the Bay Area to Seattle. For the rest of the country, your point about low incremental cost, including in the rest of California, is very applicable. Is it the average electricity GHG that should be considered in choosing electric vs gas heating, or the marginal supply? California winter is low solar and lower wind. We should be looking at the true incremental energy supply, which includes retirement of existing resources and additions of new renewables. For most of the U.S. now, that is dominated by renewables with little fossil and no coal. There isn’t a lot of California solar and wind in the winter. Gas is not going to be retired any time soon. There’s a lot more than you think. Ever heard of the “duck curve”? It takes its deepest cut in the late fall and late winter. That’s the incremental energy that will serve heat pumps. One important correction. Citing to our report (link below), this blog states: .” For one, they don’t work very well in many parts of the country.” Actually, our report shows that cold-climate heat pumps work VERY well in these colder regions, and performance is improving. CO2 heat pumps, rather than refrigerant-based heat pumps, are doing better still. By 2050, NREL expects electric heating options to be cost-competitive in all regions. Our report found that heat pumps were excellent choices in new construction in many cold regions, because heating requirements of new super-efficient buildings are low. It also found that heat pumps could meet the vast majority of heating needs in retrofit applications in cold regions, but due to the thermal demands of those buildings during the coldest hours, required some form of supplemental heat for a limited period each year. See Page 20. Supplemental heat could be a propane fireplace, a propane space heater, or electric thermal storage. See page 27. 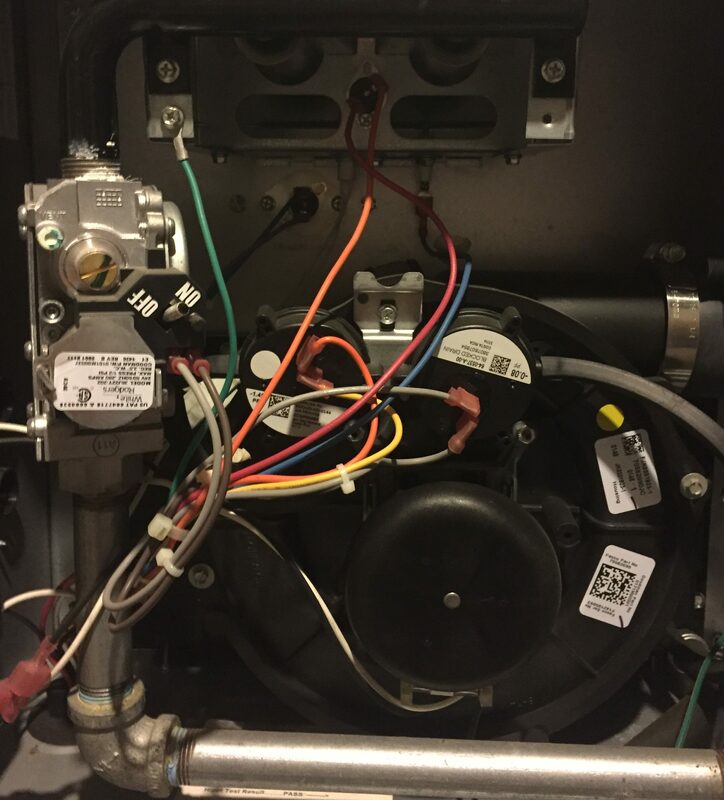 In my own home, we intentionally under-sized the forced air gas heating system when we replaced the furnace, knowing that our gas fireplace was a source of 30,000 BTU of supplemental heat. This allowed capital cost savings, a quieter fan system, and more efficient operation of the primary two-stage furnace (less cycling). Many people want to have some heating appliance in their home that can work independently of the electric grid, for use during power outages. A conventional gas or oil furnace still requires electricity. The “supplemental” heat needed to support a heat pump on the coldest days may ALSO serve as a primary heating source during power outages.If you are incurring the cost of supplemental heat for reliability purposes, the economics of using a heat pump for the primary source of heat, even in a colder climate, is quite good. We replaced our HVAC system last year when we bought a new house. A heat pump would have been less than the combined cost of an AC + gas furnace, but we would not have been eligible for the $4,000+ “energy efficiency” rebate from PG&E because “fuel switching” is prohibited. I did figure out that our old system was one-third too big and downsized to a 2 ton AC and 45,000 Btu furnace. And we may switch to a heat pump in a few years once we’ve recovered the initial cost difference, or a different program become available.